With a clear focus on meeting the needs of consumers today and tomorrow, John Hancock is a market leader in key insurance and investment product lines. 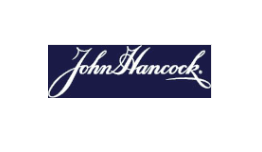 By leveraging ongoing product innovation, knowledge and experience, its strong brand, and a broad and powerful distribution system, John Hancock is continually seeking to better serve its customers. As always, John Hancock also takes a disciplined, financially conservative approach to growth, maintaining a diversified product portfolio and the essential elements of sound but conservative asset management. John Hancock is the U.S. division of Manulife Financial Corporation, a highly esteemed global enterprise based in Toronto, Ontario. Manulife is the world’s fourth largest, and North America’s second largest, life insurer by market capitalization (as of 12/31/05).